I've officially signed on to show my work at the Chocolate and Art Show in Los Angeles. 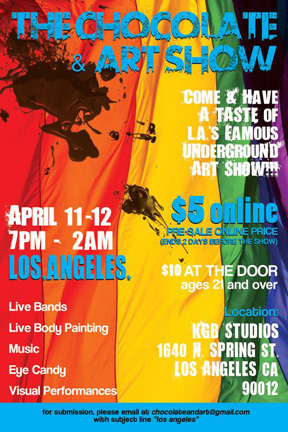 It's happening April 11th and 12th from 7pm to 2am. Who doesn't like chocolate, art, and music? Come say hello. Chocolate & Art Show event information and tickets.